Just ask for what you want and what you need. Believe that you are worthy of help and that you deserve to be free. 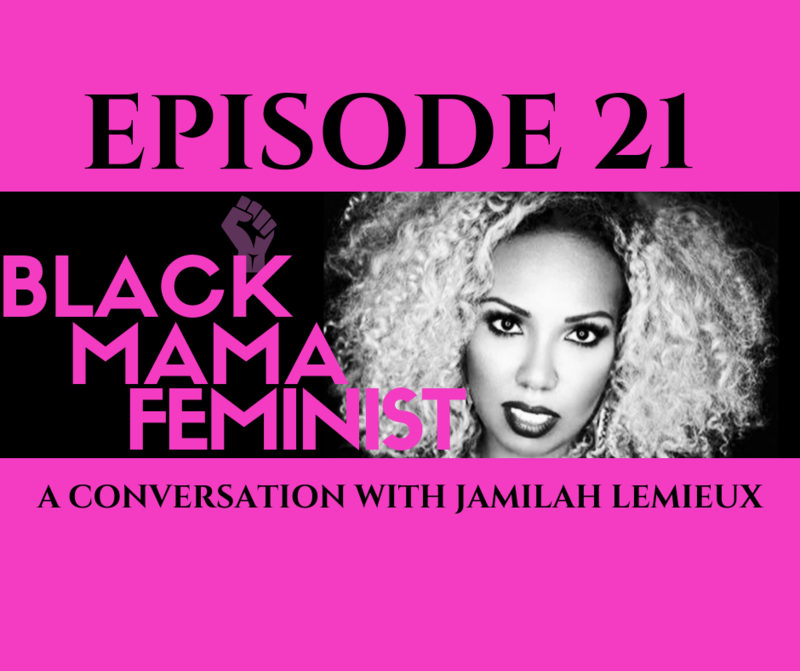 Believe that your fave is watching your work and that if you send her an email she’ll say “Of course I know your podcast and I’d love to be a guest” Yes Yes Mama our fave Black Mama Feminist Jamilah Lemieux joins us in the Mac & Cheese segment! Church Announcements/Prayer Requests: DBM merch; WOC Podcasters; Black Moms Connection; Thea talks about her Reiki Training and inspires Hall of Fame shade from NeKisha; NeKisha talks about an exclusive night at Disney and seeing #ForeverFLOTUS Michelle Obama live. Be sure to tag us on social media when sharing the episode and use the hashtag #BlackMamaFeminist. Please amplify our collection plate cause and stick around for our Black Mama Say to find out what phrase Black Mamas use to end a conversation. If you’re a first time listener, welcome to ride and be sure to subscribe wherever you’re listening. If you’re a returning listener, please keep the ratings and reviews on iTunes and Facebook coming. If you’re listening on SoundCloud your comments are welcomed and tap the heart if you liked the episode and if you really like it repost. Follow us on all social media platforms @demblackmamas. If you’re feelin this episode we ask that you share, RT or repost but if you’re not big on sharing on social media, just share with one person who you feel can benefit from listening . As always you can DM or email us at demblackmamas@gmail.com with your thoughts, questions or to just show us some love. We love hearing from you! Let’s get free yall!